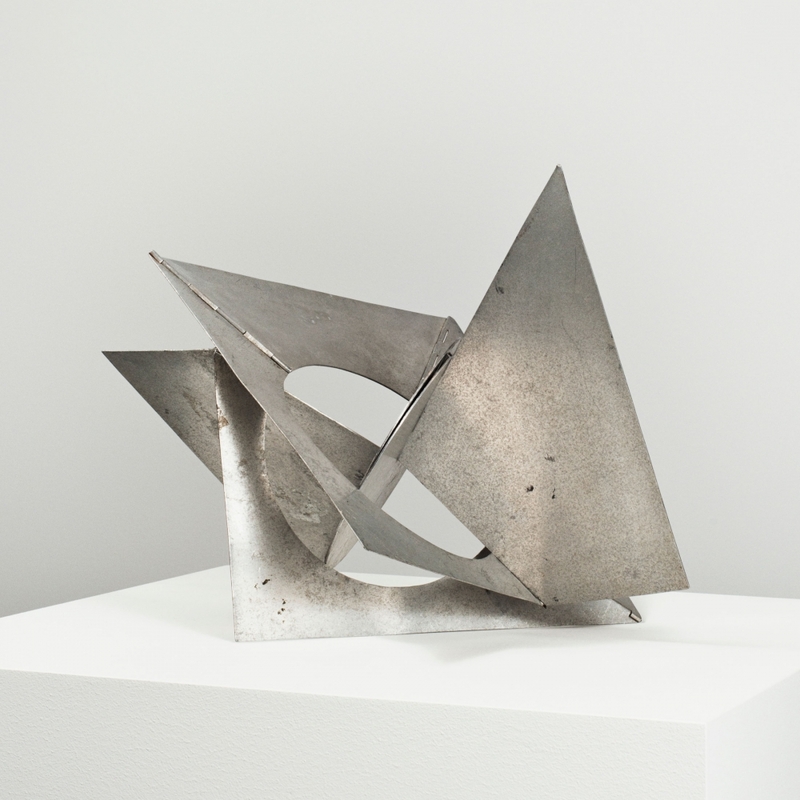 Lygia Clark in "Southern Geometries, from Mexico to Patagonia"
Lygia Clark, Bicho Pássaro do Espaço (Maquette), 1960, aluminum. Courtesy Luhring Augustine, New York. © O Mundo de Lygia Clark-Associação Cultural, Rio de Janeiro. Lygia Clark is included in the group exhibition, Southern Geometries, from Mexico to Patagonia currently on view at the Fondation Cartier. The exhibition celebrates the wealth of color and diversity of styles in the geometric art of Latin America, bringing together 250 artworks made by over 70 artists from the Pre-Columbian period to present. Including modernist abstract art, sculpture and architecture as well as ceramics, weaving, and body painting, the exhibition explores the wide range of approaches to geometric abstraction in Latin America, whether influenced by Pre-Columbian art, the European avant-garde or Amerindian cultures. Southern Geometries weaves visual relationships among diverse cultures and regions across time, inviting visitors to discover the vibrant patterns and designs of Latin American art. For more information, please visit the Fondation Cartier's website.